Tank construction and maintenance was the origin of the Saunders business and remains a major part of our business today. 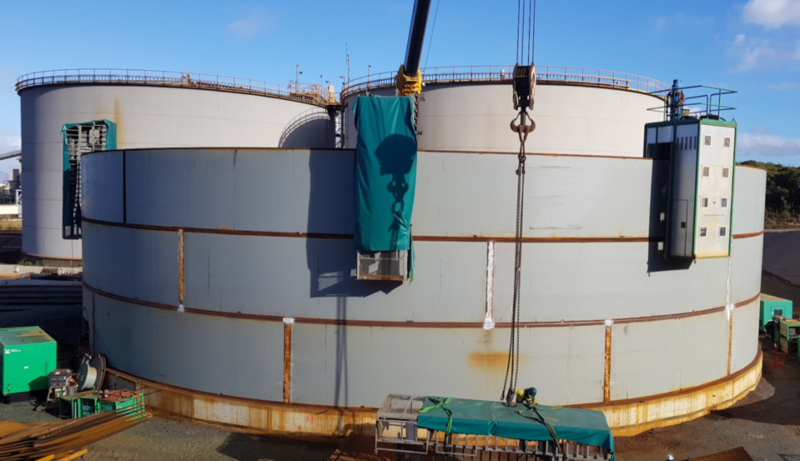 Saunders has the expertise, methods, specialist equipment and experienced personnel to safely and efficiently undertake the full range of tank services including new builds, relocations, major repairs and rehabilitation and periodic maintenance. Saunders has a strong track record in delivery of tank services at most of the Australian refineries and major terminals, including BP Bulwer, BP Kwinana, Shell Clyde, Caltex Kurnell, Caltex Lytton and Mobil Altona. 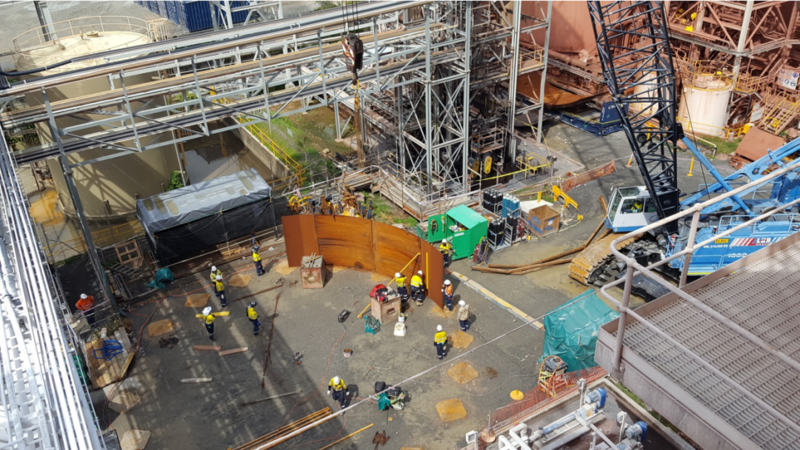 As a contract requirement, our clients have measured our performance on a regular basis so as to set Key Performance Indicators, including safety, quality, scheduling, cost and innovation. Our consistent performance has led to the on-going renewal of many of these contracts. The Off Foundation Construction method is typically used for smaller diameter tanks where the tank can be built on a temporary foundation but in close proximity to its final location. On completion of the tank, it is then lifted into position using heavy lift cranes. This method offers significant schedule savings as tank construction can be run in parallel with foundation construction. If there is significant pressure on the project schedule, we can offer another option with smaller diameter tanks. This method involves the construction of the roof and all roof fittings in parallel with the strake erection. The roof would be constructed on a temporary footing and lifted as a completed unit onto the shell when completed. Saunders will complete a site inspection anywhere in the county and provide advice on the safest and most suitable approach to delivering your tank project. Step 4 and 5 are repeated until the tank is shell high. The bottom strake is then welded to the annular when the tank is complete. 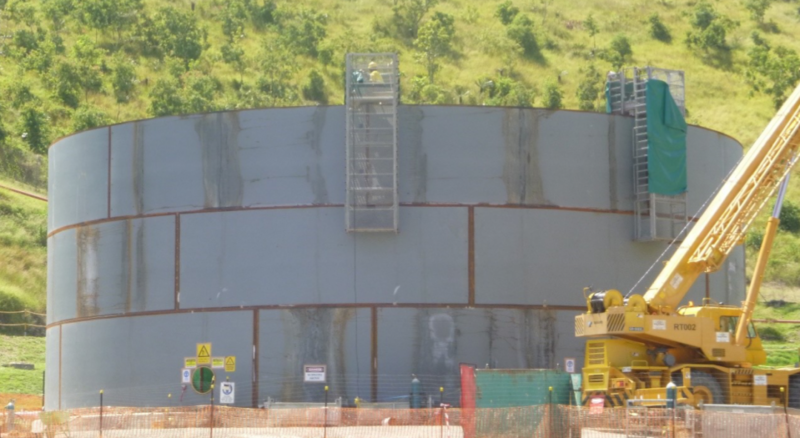 With the Top Down methodology, typically the construction schedule will be extended when compared to the conventional bottom up approach to tank construction. Our preferred method of tank construction is the bottom up method where tanks are assembled one strake on top of another, finishing with the roof installation. This methodology enables us to offer a shorter construction schedule compared to the top down method.